Yesterday was bonkers. I didn't know if I was coming or going. I actually forgot it was Sunday! So, you get a Monday peek at my week. 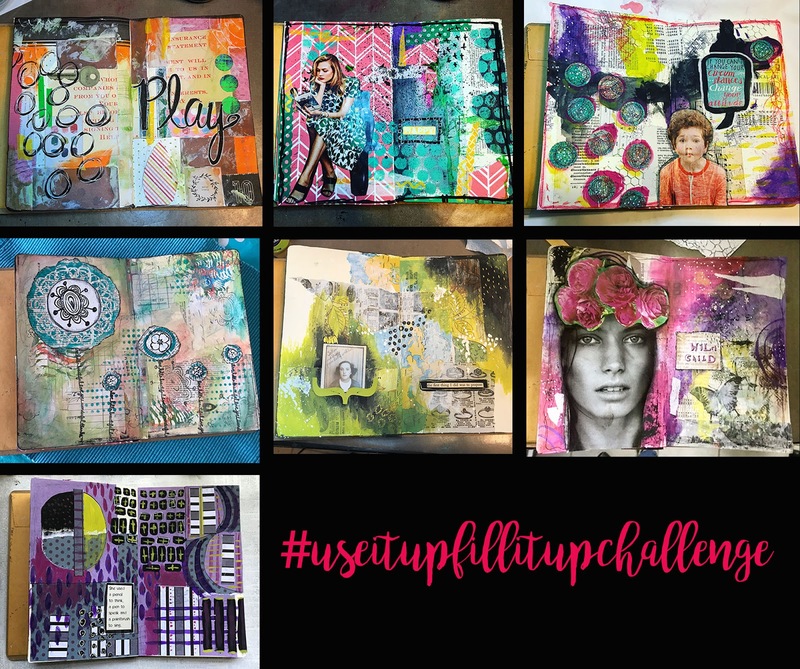 Through the whole week, I participated in my friend Tiffany's art journaling challenge. You can see more from the challenge on Instagram with #useitupfillitupchallenge and learn about it on Tiffany's Southern Gals Designs feed. 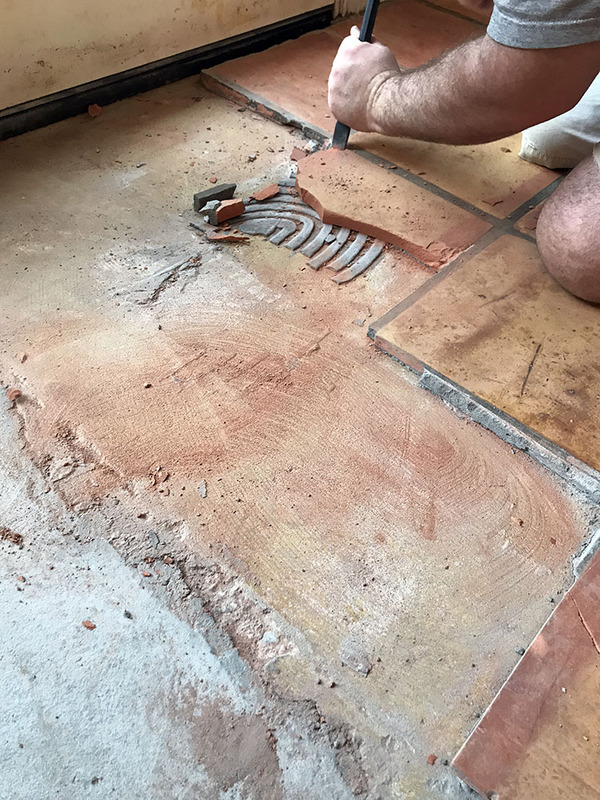 Last Sunday was consumed with working on replacing the floor after our plumbing issues. First, we had to remove all the tiles that the workers cracked. It was an effort in itself to get them out without cracking more. 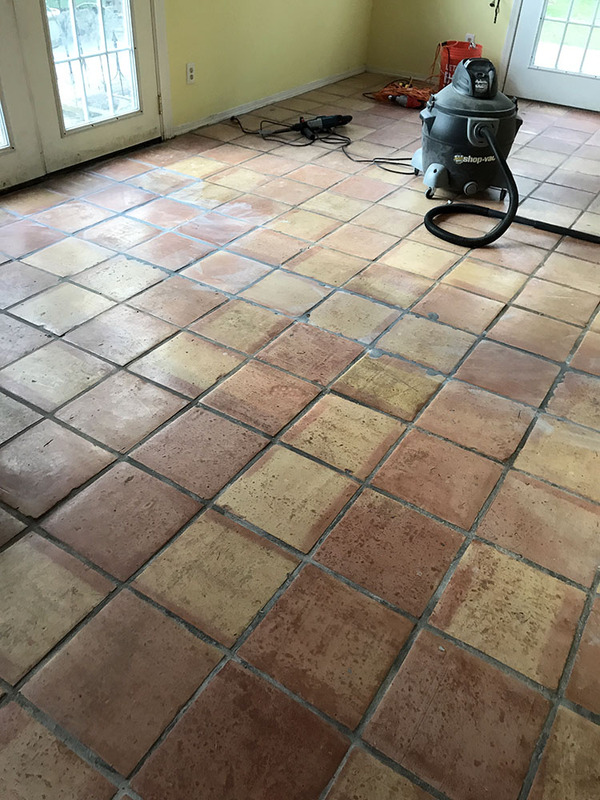 We also picked out tiles that were in the yard (from when we pulled up the kitchen flooring), cleaned them, and figured out where they would go. 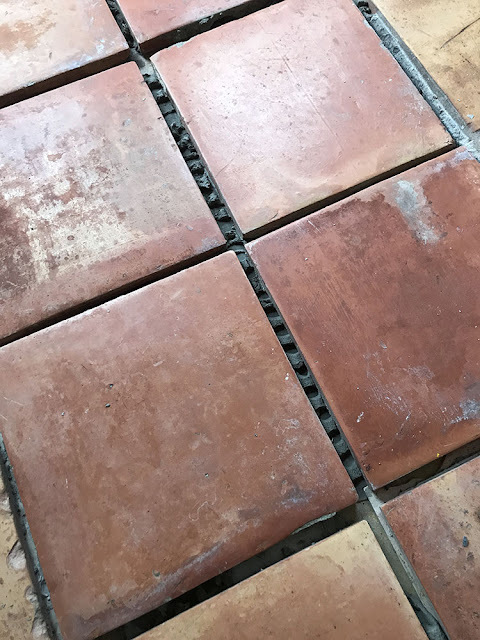 Thank heavens we kept them because we haven't been able to find terra cotta tiles anywhere else! The tilework (and Pat's drained car battery) consumed the whole day. While going about my chores on the property on Monday, I noticed this blue eye on my split leaf philodendrons. I'm sure it's a sign of something horrible, but I find it intriguing. 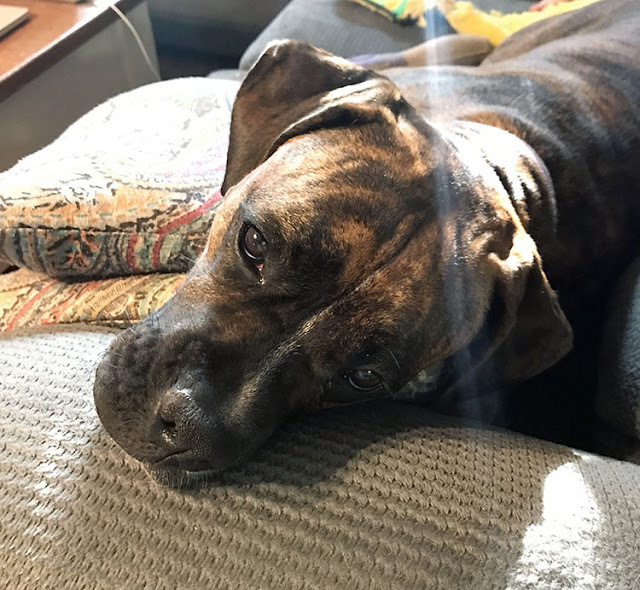 And, because of the torn up sunroom, Zoe spent several days in the living room with us. She didn't seem to mind. 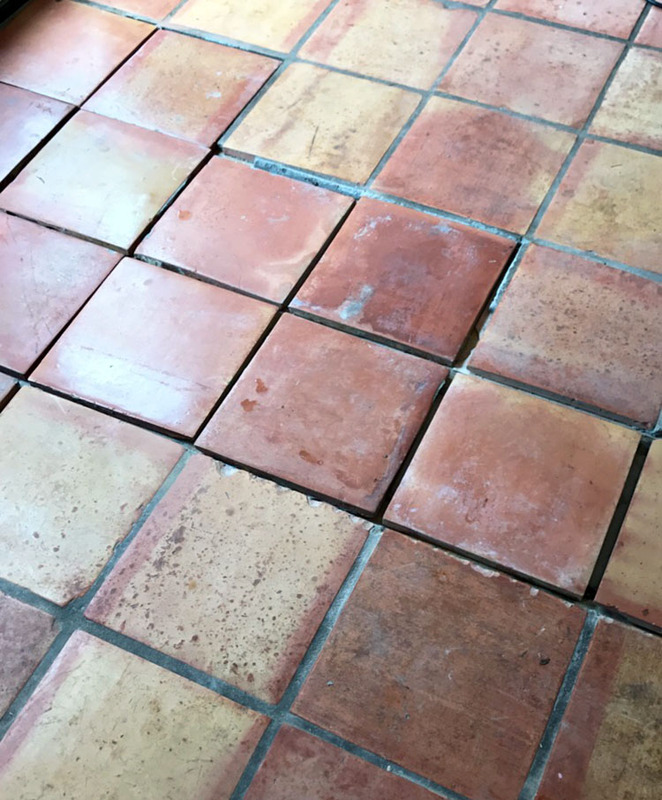 By Tuesday, the thin set (tile glue, basically) was just about cured. 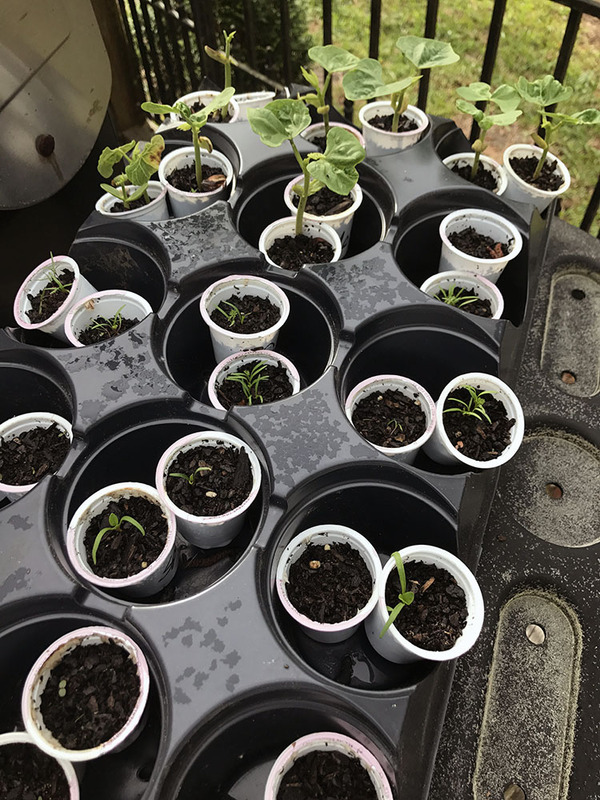 I busied myself with my plants - I really need to get them in the garden soon!! 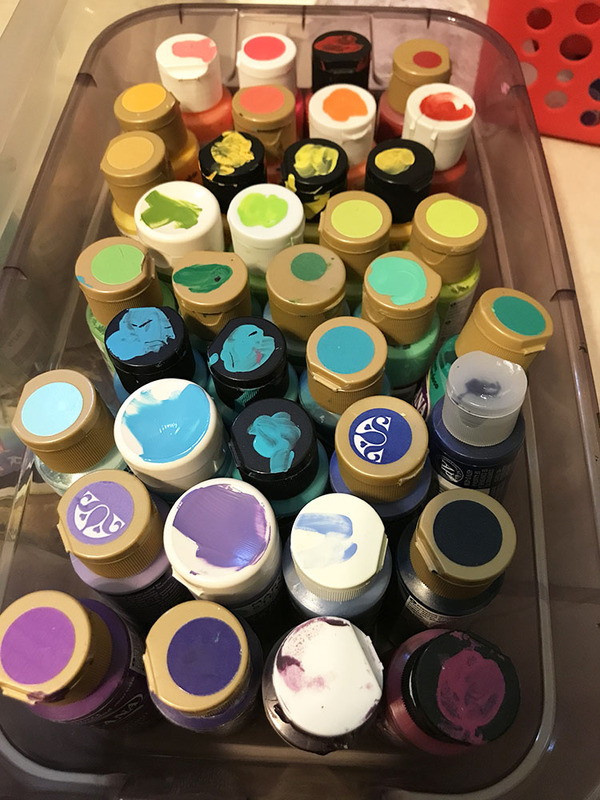 One of my nieces asked for any paints I didn't want for a group project she was doing. That gave me the chance to sort through my paints and organize them - by color naturally. I did throw out a bunch of dried up ones and gave her a ton of the ones I no longer wanted. Yay for the pretty organization. 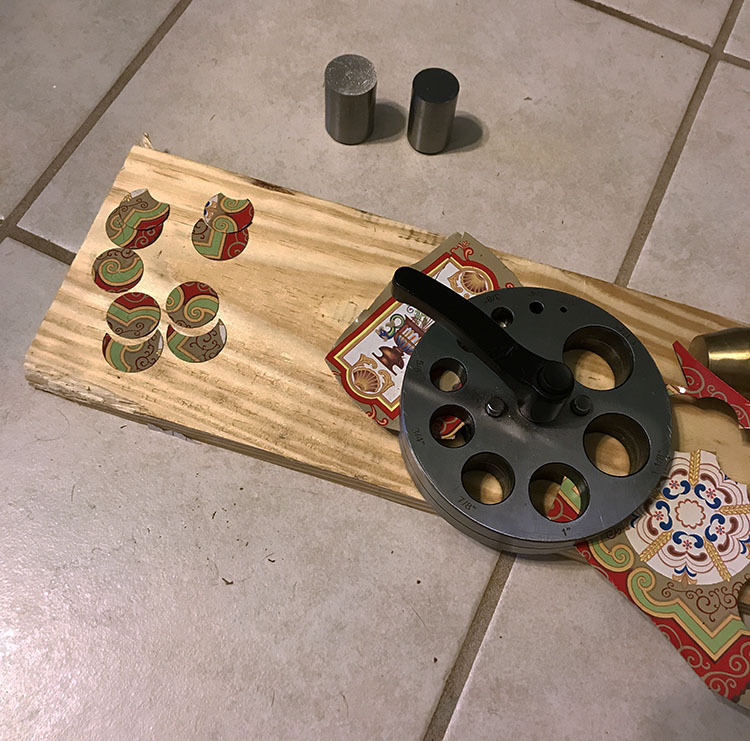 I also played with tin and my disc cutter for a little bit. I'm hoping to get back to that project in the next day or two. 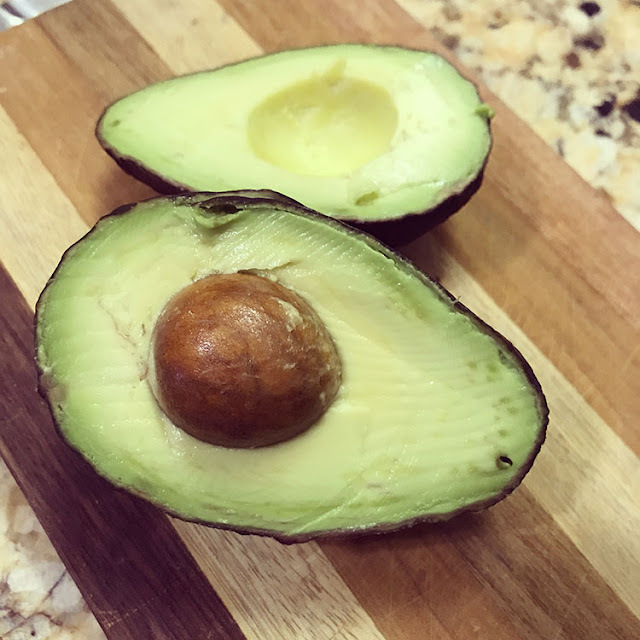 Oh, and I cut into the most perfect avocado - big news! Pat finished the grouting on Tuesday evening, and by Wednesday morning, it was starting to look like a disaster had never occurred! Thank heavens for a handy hubby. 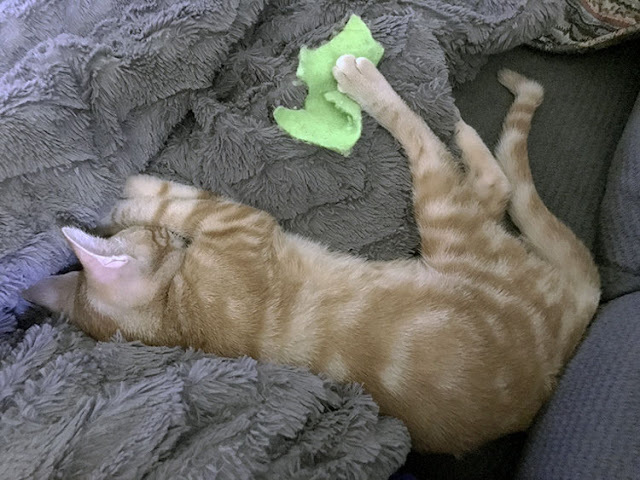 I spent the rest of Wednesday at my mom's as usual, getting very little accomplished. I'm not even sure what I accomplished on Thursday. 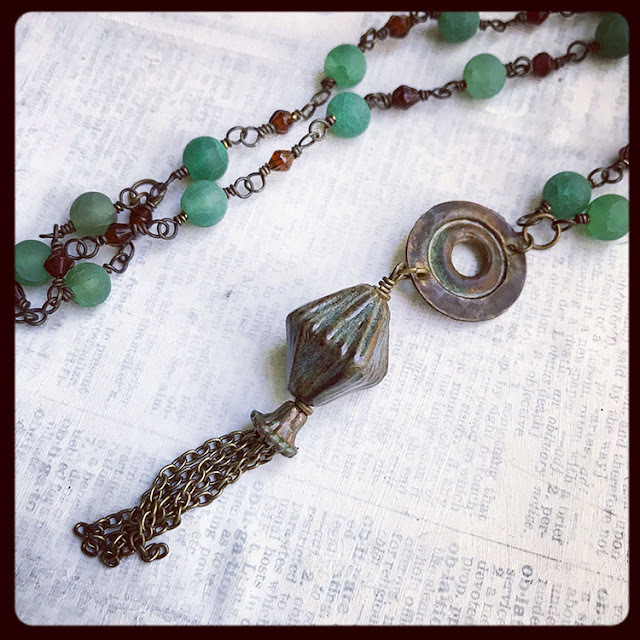 According to my Bullet Journal, I got new tires and worked on jewelry. And apparently, tired out a kitten. Again, Friday slipped away from me as I posted my Project Inspiration for Easter and listed this pretty necklace. Saturday was mostly about being outside, where I discovered this treasure buried out in our woods. I'm still amazed at the things we find out here. 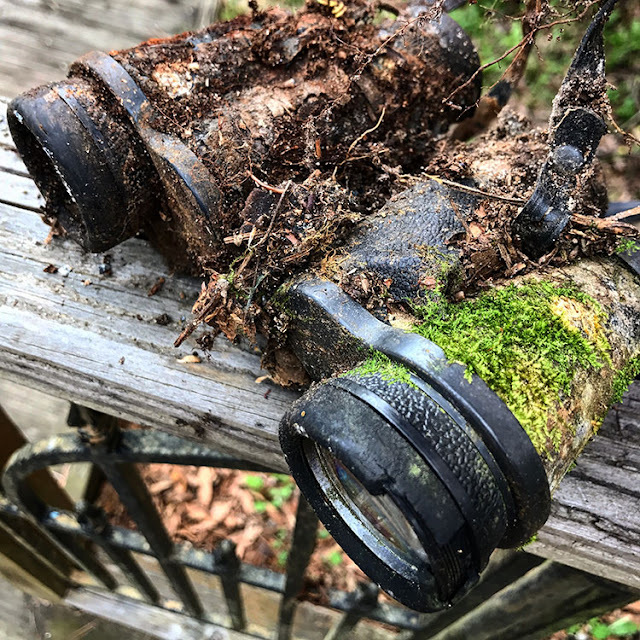 Don't you just love the moss on these binoculars? Oh, and I need to get a picture inside one of the lenses too - there's a collection of tiny rocks in there. I also worked on weeding my raised beds in preparation for my seedlings. I found a ton of earthworms. 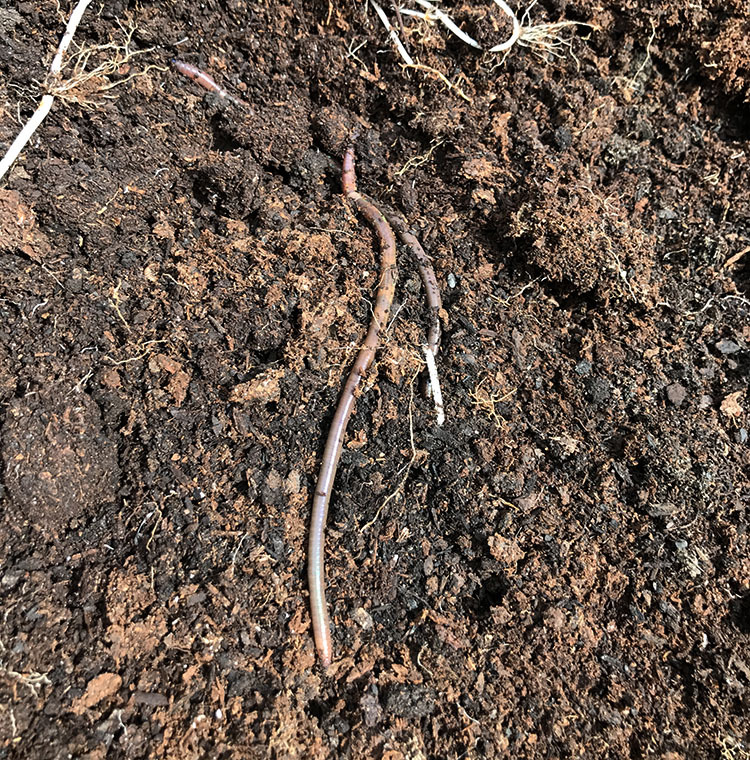 Is it weird that I'm excited about worms in my garden? It's weird for me. But, it's true. I was supposed to reveal my Swap-N-Hop pieces today, but the reveal date has shifted until April 6th. Though, there are a couple other challenges that I should have reveals for during the week - hopefully. Stay tuned for that! 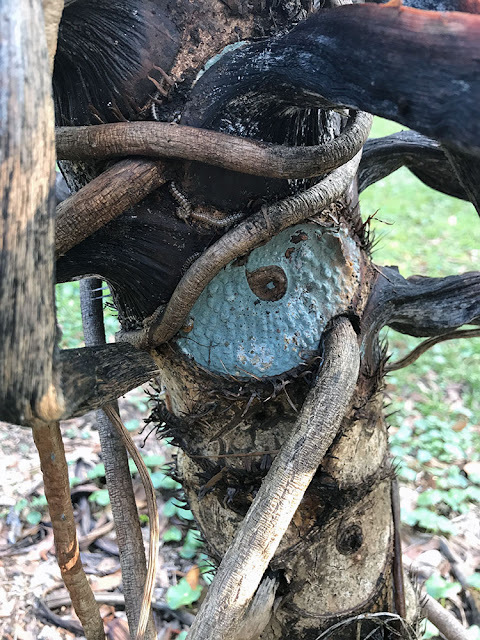 Totally love your yard finds, "The blue eye and the mossy binocs." Aw thanks Alan! I do have to say that your quoted area there gave me a chuckle - it's like, Hey man, your writer is showing!" ;) Love it!